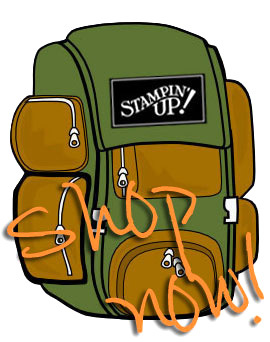 Welcome to Stampin' Addicts New Catalog Blog Hop, featuring a selection of stamp sets to get you revved up for the new catalog season. Make sure you have those wish lists near by, because my fellow Stampin' Addicts will knock your socks off! 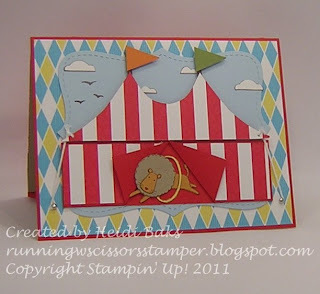 If you have been following the blog hop in order you've just seen Sara's wonderful creations featuring Easy Events. 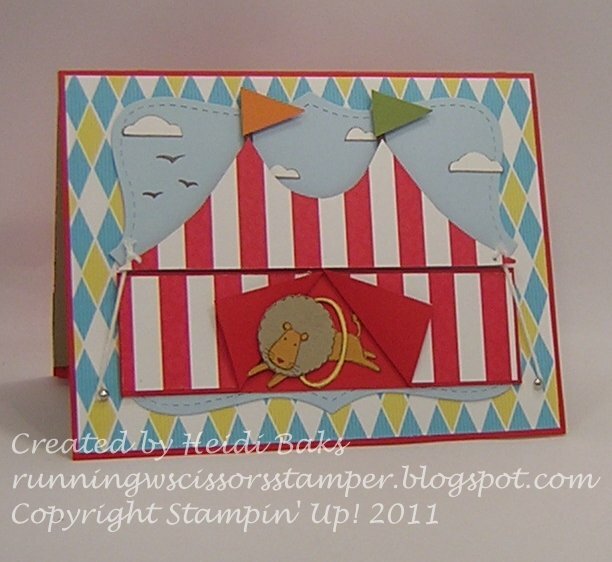 I have stamped samples from the set Under the Big Top for you. 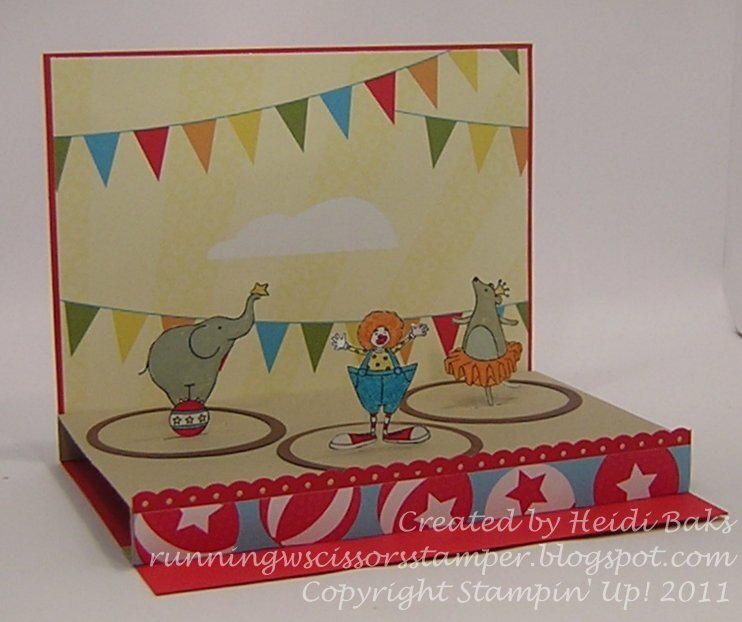 Birthday Circus Train - I used the Precious Moments birthday train as inspiration for this fun little train (click to enlarge). I attempted to create three-dimensional characters by stamping twice and gluing a 1/4" square box in between images. My daughter can't wait to get her hands on this one, although I got some grief about there not being a train car for the "strong man". Guess what we will be doing this weekend? 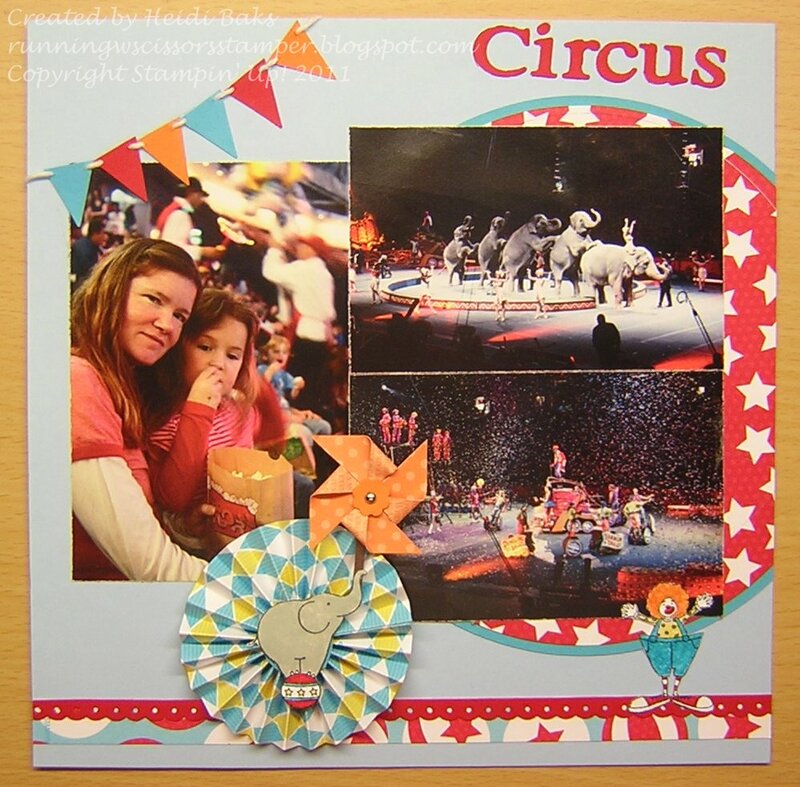 Scrapbook Page - I have to say, if you like making traditional scrapbook pages, you'll have to get some of the Big Top Suite products. They make cute page elements so easy! This is a page of taking my daughter to her first circus this past Spring. Don't forget to come back on Monday for more pictures and details on how to make these projects. 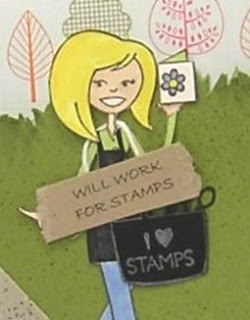 If you aren't yet a member of Stampin' Addicts, you can sign up here. Make sure you check out the next stop to see what Jennifer has created for you using Up, Up & Away. Her projects are always amazing. Enjoy your trip, and thanks for stopping by! OMG That train is adorable!!! and the card is awesome too.. I really like how you used the Top Note and it's the sky behind it. Your scrap page came out great.. I've never really been good at scrapping even with the help of MDS..lol all your stuff reminds of the Water For Elephants book and then the movie really brought it to life. Love, love, love them! The pop up card front with the top note layer---amazing and then the inside! Even cooler! That train is really neat, too, with all the details! Wow!!! Love the circus card and train! WOW! Fantastic ideas and execution!!! You rock this set!!! This is all so stinkin adorable!! From the curtain with the lion bounding out, to the stage card with the 3 rings, to the train......omgggggg how cute! I really didn't care much for this set, but I am so glad that I already placed my order before looking at the hop or it may have gone on this order, and there really wasn't room for it on today's order since there were other things I really needed, like cardstock! lol I can't believe you fussy cut that ring around the lion though! Oh. My. Heck. Your pop-up stage card is AMAZING! I love the striped Big Top tent on the front with the lion leaping through, the detail of the three rings inside, and that train is da bomb! (And why DID you leave out the strong man????) LOVE all this, and really appreciate the amount of cutting you did to make it work! Oh my goodness you have done absolute wonders with this set. Your card is amazing. Your projects are just delightful, Heidi! I'm especially taken with the lion jumping out of the tent--what drama and excitement! Cute,cute,cute !!!!! I love all the projects! Fantastic!! I love everything you did. That card is especially wonderful. Thanks for the inspiration. Seriously...you pulled THIS out in almost no time??!!! Wow! The pop-up card is unbelievable and I have to say that your scrapbook page is perfect! Outstanding card and scrapbook page!! You really outdid yourself. Thanks so much for sharing your ideas!! Oh my goodness! These are all so adorable!!! I love that first card -- it is amazing!! Instead of Under the Big Top it should be OVER THE TOP! Wow these are just too fun- so many details! I really like the 3D front on the first card with the clouds behind and the ropes at the corners. WOW! Great projects! You did an outstanding job! These projects are all AMAZING! You do exceptional work! Adorable, but the train set is just awesome! Heidi, these projects are awesome! Holy Cow! The train and the tent card just blew me away! I had no interest whatsoever in any of the Circus stuff until I saw these two projects! Wonderful stuff. So amazing!! I don't even know which is my favorite. The pop-up card is so cool, and the train is adorable. And the details on the scrapbook page, love them!! You always inspire me Heidi!